Please contact me if you would like to learn more about mindfulness therapy and training for working with aerophobia or any other phobia that you may have. Most people can expect to see significant improvement after 3-4 Skype therapy sessions with me. Welcome. 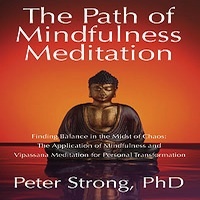 My name is Peter Strong and I’m a professional psychotherapist specializing in online mindfulness therapy, which I offer for help with anxiety, panic attacks, depression and many other common emotional psychological problems. I’m very frequently asked to help people with a driving anxiety, and also the principles that I’ve developed for working with driving anxiety also work extremely well for fear of flying or aerophobia. The main concepts behind mindfulness therapy and what makes it so effective for overcoming fear of flying or any other fear for that matter is the way that it teaches you how to take charge of your emotions and your thoughts, the two main reactive runaway processes that cause anxiety and depression and many other emotional psychological problems. So, typically if you have a fear of flying and you seek help from me, what we would do is set up a series of meditations, essentially rehearsal meditations before your next flight, where you would imagine, in great detail going to the airport and going through the lines in the airports, boarding the plane, being in the plane, taking off, being in the air, and all the other factors involved in flying, before you eventually land at your destination. So we would rehearse this in the mind. This is a key ingredient of good mindfulness therapy for fear of flying. You rehearse and you rehearse and you rehearse by meditating on that scenario and then watching very carefully for any fear reactions and thought reactions that arise. The secret is to see these fear reactions and thought reactions very clearly and respond to them with a very clear, focused, mindful relationship, as opposed to the usual condition whereby we simply become totally identified with our fear or thoughts and we become consumed by them and are overwhelmed by them. When you can establish a mindful relationship with your emotions and thoughts they cease to have power over you. This is a secret ingredient, if you like, of the mindfulness training that I offer. You can learn how to sit with your fear and with fear-based thoughts without becoming consumed by them and without feeding them, essentially. So that’s the rehearsal phase. You learn how to change our relationship to our emotions and to our thoughts. The second phase is putting this into action during the flight, and that we would practice what we have rehearsed in great detail starting from the moment that you arrive at the airport going through the whole process of boarding the plane and staying conscious, staying mindful, attentive, watching for any fear reactions that arise. But because of your training that you have done through your rehearsal meditations you now stand a much better chance of diffusing those reactions that might get triggered in the live situation. On the plane we cultivate the mindfulness even more and essentially establish a relationship with your fear or thoughts in the same way that a parent would establish a relationship with their child. The child might be equally afraid or confused or fearful and agitated just like your emotions and thoughts are, and a good parent will learn to comfort the child by being very still and non-reactive and by being very compassionate towards them. This compassionate relationship is absolutely fundamental to mindfulness. We establish a compassionate friendly relationship with our fear. That is what the fear actually needs to resolve itself. So this we practice during the flight when if fear arises we are treated like a child. We go to it with compassion and non reactivity, and we might even imagine it being like a child and since the fear down beside you like a child. That process of moving the position of the anxiety where you see it in the mind or body and moving it to a different position is a very, very powerful technique. So that’s what we do during the flight and then after the flights you would do another meditation, a post-meditation, where you would run through your actual experiences and any fear that arose, or any thoughts or beliefs that arose, during the flight and you would essentially train with those, helping them dissipate, helping them resolve themselves, again by being like a parent to your emotions. So that way you learn from the recent experience of flying. And then we repeat this over and over again. Each time we develop more and more confidence, more and more freedom from our fear of flying. This mindfulness-based approach works extremely well for driving anxiety and it also can be applied equally effectively for overcoming fear of flying. If you would like to learn more about Mindfulness Therapy for aerophobia do please send me an email and we can talk about this in more detail. And when you feel ready we can schedule some mindfulness therapy sessions over Skype and I will teach you all that you need to do this yourself to basically overcome your fear of flying. So please, simply send me an email and we can schedule some Skype Therapy sessions. Thank you. One technique that I teach is called the mindfulness-based expansion response, which you should practice before as well as during the flight. Basically, when you experience a panic attack, you undergo a psychological-emotional contraction – you become very small in your mind’s eye. This contraction is a necessary part of the fear reaction. If you can prevent this psychological contraction you will inhibit the fear reaction. The objective is to counter this emotional reaction by imagining yourself becoming as big as possible – bigger than the plane itself or some such variant that works for you. Practice before the flight to find what works best. Try this for yourself and share your findings if it works for you.